The primary aim for coaches with respect to conditioning should be to ensure our teams are able to cope with the physiological demands of the game as it has been reported in elite soccer that increases in fatigue are associated with declines in both physical performance and the technical skills during match play (Rampinini, Impellizzeri, Castagna, Coutts & Wisløff, 2009). Anecdotally, there would seem to polarized coaching philosophies, with small sided games and the use of ball on one side (typically a viewpoint held by the skills coach) and some form of interval training, whether that be aerobic and anaerobic, on the other side (typically a viewpoint held by a conditioning coach). So what does the research tell us? Intercounty Gaelic football is now a 70 minute high intensity intermittent team sport (Collins, Doran & Reilly, 2013). With the introduction of GPS, researchers have now been able to accurately quantify these match demands further. During an intercounty match the mean total distance covered by a player has been recorded in the region of 8160 – 8889 mtrs, with high speed running (>17km/hr) quantified as 1569m +/- 594m (Malone, Solan, Collins, & Doran, 2016; Malone, Solan & Collins, 2017). Research has also reported rank order positional differences in total distances, high speed running (>17km/hr) and sprinting (>20km/hr), that being Midfielders > Half Forwards > Half Backs and with these three middle positions performing more volume of running than that of Full Backs and Full Forwards (Malone et al., 2017). The researchers have also established decrements in running performance in terms of total distance, high speed running (>17km/hr) and sprinting performance (>20km/hr) as the game transitions from quarter one through to quarter four in all positions (Malone et al., 2017), which are similar to findings reported in soccer studies (Rampinini et al., 2009). This means at the most basic physiologically level a GAA player uses both their aerobic and anaerobic energy systems which through our conditioning programmes we would need to target and develop (Florida-James & Reilly, 1995). The research could also be suggesting that as we go through the grades of sub-elite club and elite inter-county Gaelic football, as coaches we may to adopt a more sophisticated approach to our conditioning methods to enhance performance (Malone et al., 2017). These coaching plans should be aimed at developing physiological adaptations to inhibit fatigue, increase our focus on high speed running (>17km/hr) and sprinting (>20km/hr) and also it may be pertinent to adopt a positional specific conditioning strategy also (Malone et al., 2016). So is small sided games or interval training better at helping us to achieve these physiological game demand capacities? Research from Collins et al. (2013) has presented data that small sided games can be an effective physiological training stimulus for sub-elite GAA teams improving repeat sprint ability, endurance and 5 metre sprint times. In this study they used a protocol of 4 v 4, 6 sets of 4 minute games, performed at >90% HRmax, with a 3 minute passive recovery, on a 80m x 20x pitch size. Hill-Haas, Dawson, Impellizzeri, and Coutts (2011) in a systematic review of small sided games in soccer also concluded that small sided games had the potential of delivering similar performance and physiological gains as traditional interval training protocols. Now before skills coaches stand up and shout “I told you so” it would however, seem that it is not as simple as turning up and setting up any small sided game to ensure an effective conditioning element. What the small sided game studies demonstrate is that exercise intensity during small-sided soccer games can be manipulated in favour of meeting match demands and exceeding match demands, however, the games can also be potentially detrimental by not meeting match demands. Variables including, the number of players used, relative pitch size dimensions, coach encouragement, game times (both intermittent and continuous), work rest ratios, artificial rules changes and relevant fitness levels of the players included in the games would seem to have an effect on the physiological demands during the small sided game with some variables having a greater effect than others (Rampinini et al., 2007; Hill-Haas et al., 2011; Collins et al., 2013). A coaching philosophy solely relying on small sided games may not provide the progressive overload required to consistently enhance performance, which may actually lead to a plateau or decrement in performance. Most sub-elite clubs do not have access to GPS technology and thus training load, high intensity running and sprint volumes may not be monitored accurately to ensure an adequate stimulus or overloading strategy is being applied, although methods such as RPE and HR monitoring could help to bridge the gap. An example of a progressively overloaded small sided game protocol may involve using 15 v 15 games early preseason, 7 v 7 mid preseason, 4 v 4 late pre-season monitoring intensity through RPE and training load through session RPE. It is thus imperative that skills coaches working at the upper levels of sub-elite and elite Gaelic football need to start thinking scientifically about how they approach their overloading strategy of small sided games. They must also understand the effects of manipulating each of the mentioned variables have on the physiological demands within the small sided game, in order to ensure at the most fundamental level that heart rate zones reach 90% – 95% levels, which have been reported as being similar to those found in effective interval training protocols (Rampinini et al., 2007). On the other side of the continuum, research on interval training approaches have been about for quite some time. According to Baker (2011), historically aerobic conditioning for team sports would have involved long steady state training, however it would now seem that this strategy is less effective for elite athletes and that time spent above 100% maximal aerobic speed, targeting the training volumes published in the GAA match running demands research, is more effective at building aerobic power closely related to the demands of the sport. 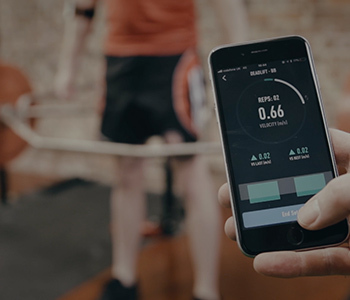 This process can also be potentially more time efficient, which could be considered the holy-grail for the modern day strength and conditioning coach. Collins, Hughes, Keenan and Kennedy (2013) presented research confirming that high intensity interval training improved a team’s performance in the YOYO IR2 shuttle run test in comparison to the control team using a non-modified preseason conditioning method. Current high intensity interval training strategy’s in elite team sports include using aerobic intervals, anaerobic intervals, fartlek runs, grid runs, eurofit shuttles, tabata work:rest ratios as well as repeat sprints (Baker, 2011). All these protocols are relatively easy to monitor and progressively overload in line with the volumes and pace intensities reported in the published research, which is why most strength and conditioning coaches feel its safe territory to adopt some form of interval training protocol. 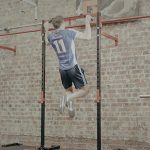 Again before strength and conditioning coaches start to shout about believing that they can guarantee improved physical performance through this relatively controlled progressive modality, it is important to consider the limitation of this approach. Unlike small sided games they exclude the concurrent development of ball skills, decision making and match movement strategies (Rampinini et al., 2007) which are skills desirable in a team sport context and ultimately we are training footballers, not sprinters or middle distance runners. So the research and data is ever increasing with respect to Gaelic football which is providing us with greater insight into the demands of the game. With respect to conditioning methods it would seem that both small sided games and interval training have the potential to effectively condition footballers for the physical demands of Gaelic football, however, they both would seem to have potential limitations. As both a skills coach (Level 2 GAA) and strength and conditioning coach (USKCA) I personally believe in both approaches depending upon what the team needs are at a particular point of time in their season and evolution. I personally use a combined strategy integrating both small sided games with various types of interval training as recommended by Baker (2011). Importantly, I ensure both small sided games and high intensity interval training are progressively periodized. My ratio of small sided games and interval training are determined upon the time of season alongside the physical testing markers and match performance ratings so this ratio of often fluid both in season and also season to season. Finally and very importantly my conditioning approach is designed and programmed in partnership with the management, coaching, performance analysis and medical teams. Florida-James, G. & Reilly, T. (1995). The physiological demands of Gaelic football. British Journal Sports Medicine, 29(1), 41-45. Collins, K., Doran, D., & Reilly, T. (2013). Small-sided games present and effective training stimulus in gaelic football. In Science and Football VII: The Proceedings of the Seventh World Congress on Science and Football (p. 379). Routledge. Hill-Haas, S. V., Dawson, B., Impellizzeri, F. M., & Coutts, A. J. (2011). Physiology of small-sided games training in football. Sports medicine, 41(3), 199-220. Malone, S., Solan, B., Collins, K. D., & Doran, D. A. (2016). Positional Match Running Performance in Elite Gaelic Football. The Journal of Strength & Conditioning Research, 30(8), 2292-2298. Collins, D. K., Solan, B., & Doran, D. A. (2013). A preliminary investigation into high-intensity activity during elite Gaelic football match play. In Symposium Conducted at the Meeting of the British Association of Sports and Exercise Science Strength, Conditioning and Sports Therapy Research Symposium. Malone, S., Solan, B., & Collins, K. (2017). The running performance profile of elite Gaelic football match-play. The Journal of Strength & Conditioning Research, 31(1), 30-36. Rampinini, E., Impellizzeri, F. M., Castagna, C., Coutts, A. J., & Wisløff, U. (2009). Technical performance during soccer matches of the Italian Serie A league: Effect of fatigue and competitive level. Journal of Science and Medicine in Sport, 12(1), 227-233.